January 25 - Jong Duk Choi is sentenced to probation and fined by Judge Dennis J. Smith for his part in the March 3, 2001 beating death of Sea-Hwan Chang. March 6 – 60-year-old Leslie E. Beesley is beaten to death in his Hybla Valley home at 3109 Kingland Road. April 6 – 37-year-old Patricia A. Bentley is strangled to death in her townhouse in the Brookfield neighborhoood of Chantilly by her 32-year-old ex-boyfriend, Charles W. Helem. April 24 – Marlo L. Small shoots his 24-year-old ex-wife Michele I. Quiles to death in Annandale. May 3 – 26-year-old Amaraegbulam Ahaghotu is found beaten to death in some woods near the intersection of Coffer Woods Road and Burke Lake Road in Burke. May 4 – The Wakefield Recreation Center in Annandale is renamed to honor former Fairfax County Board of Supervisors Chair and Annandale District Supervisor Audrey Moore. May 12 – A two-year-old boy falls out of the window of a 14th floor apartment at the Fairfax Towers apartments at 2251 Pimmit Drive in Falls Church. The child is taken to Inova Fairfax Hospital, where he dies about 45 minutes later. May 23 – 38-year-old Jose Portillo is killed by a two-story fall from scaffolding at the Robinson Terminal Warehouse at 7201 Wimsatt Road in Springfield. June 2 – The Fairfax County Board of Supervisors votes 7-2 to pass an ordinance banning people from parking cars on the front lawns of their houses. June 15 – 7-year-old Virginia G. Baker is caught in a drain and drowns in a whirlpool tub at a graduation party for a friend in McLean. June 18 – 53-year-old Suhail Ilyas fatally shoots his 14-year-old son Aaron and mortally wounds 11-year-old Zak before committing suicide in the family's townhouse at 5506 Woodlawn Manor Court in Alexandria. Zak is airlifted to Inova Fairfax Hospital, where he dies. June 21 – William M. Cronan, Jr. is sentenced by Judge Dennis J. Smith to 25 years in prison for the December 15, 2001 murder of his wife Sigrid. September 25 – 52-year-old David A. Schoff commits suicide in his home at 1507 Farsta Court in Reston by shooting himself. September 27 – Circuit Court Judge Gaylord L. Finch, Jr. sentences Jorge Cedillos, a member of the MS-13 youth organization, to 30 years in prison for beating Fredy Reyes-Castillo to death in Brown's Chapel Park in Reston on June 17, 2001. October 14 – 47-year-old FBI Analyst Linda G. Franklin is shot to death in the parking lot of the Home Depot in the Seven Corners area of Falls Church by Lee Boyd Malvo, one of the two so-called Beltway Snipers. December 4 – A failure at Columbia Gas of Virginia's Barnsfield delivery station knocks out service to about 3,800 customers in the Herndon area just in time for the season's first snowstorm. The county opens Herndon High School to serve as a temporary shelter for residents driven from their homes by the lack of heat. December 11 – 19-year-old Fanta Moses disappears on her way home from work. Her decomposed corpse is found in a wooded area near Cherokee Avenue and Navaho Drive in Alexandria on April 15, 2003. December 13 – 30-year-old Jose Febo fatally shoots his 57-year-old father Manuel, then commits suicide at the family home at 7313 Sterling Grove Drive in Springfield. December 27 – 21-year-old Ngoc Q. D. Nguyen is shot in the head and killed in the parking lot of the Happi Billiards Club in Annandale by Henh Ngo. There were 16 murders and other homicides in Fairfax County in 2002. Additionally, four murders that occurred in previous years; the 1995 slaying by Edward Y. Chen of his parents and brother and the December 2001 murder of Brenda Hill by Guy Favorite were discovered. ↑ "Probation, $2,500 Fine for Chang's Assault." Connection Newspapers. Connection Newspapers, 29 Jan. 2012. Web. 07 Dec. 2012. ↑ Glod, Maria. "Clues Sought in Slaying of Fairfax Handyman." The Washington Post: B.04. National Newspapers Core. Mar 09 2002. Web. 17 Feb. 2012. 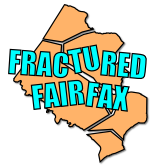 ↑ "Fairfax Crime Watch." The Washington Post: T.29. National Newspapers Core. Apr 18 2002. Web. 23 Feb. 2012. ↑ Hobbs, Bonnie. "Charles Helem Receives Life in Prison." The Connection Newspapers. Connection Newspapers, 12 Dec. 2003. Web. 23 Feb. 2012. ↑ Jackman, Tom. "Woman found Dead in Annandale Identified; Store Manager from Alexandria was Shot, Police Say; Body Discovered in Car." The Washington Post: 0. Apr 27 2002. ProQuest. Web. 18 June 2014. ↑ Jackman, Tom. "Man Gets 38 Years for Killing Ex-Wife; Defendant Expresses Remorse in Court." The Washington Post: 0. Mar 06 2004. ProQuest. Web. 18 June 2014. ↑ "Body of D.C. Man Identified." The Washington Post. The Washington Post, 5 May 2002. Web. 20 Dec. 2016. ↑ "Body Found in Burke Alarms Residents." Connection Newspapers. Connection Newspapers, 7 May 2002. Web. 20 Dec. 2016. ↑ Fallis, David S. " Boy, 2, Dies in Fall from 14th-Floor Window in Va." The Washington PostMay 13 2002. ProQuest. Web. 4 Feb. 2017. ↑ "Interchange Construction Worker Suffers Fatal Fall." Connection Newspapers. Connection Newspapers, 28 May 2002. Web. 20 Dec. 2016. ↑ Associated Press. "Fairfax Bans Parking on Front Lawns." The Free Lance-Star. [Fredericksburg, Virginia]. 5 June 2002: C4. ↑ White, Josh. "James Baker III's Grandchild Dies in Whirlpool." The Washington Post. WP Company, 19 June 2002. Web. 12 Jan. 2017. ↑ Glod, Maria. "Man Kills Two Sons, Self; Fairfax Police Cite Domestic Dispute in Slayings in Home." The Washington Post: 0. Jun 19 2002. ProQuest. Web. 7 June 2014. ↑ "Man Kills 2 Sons, Turns Gun on Self." Washington Times. The Washington Times, 19 June 2002. Web. 07 June 2014. ↑ Hobbs, Bonnie. "Cronan Gets 25 Years For Wife's Murder." The Connection Newspapers. Connection Newspapers, 26 June 2002. Web. 23 Mar. 2012. ↑ "Obituaries." The Washington Post: 0. Sep 27 2002. ProQuest. Web. 2 May 2014. ↑ Glod, Maria. "Man Gets 30 Years in Gang Slaying; Va. Judge Cites Brutal Beating in Sentencing 1 of 4 Charged." The Washington Post: 0. Sep 28 2002. ProQuest. Web. 5 Sep. 2014 . ↑ 18.0 18.1 Branigin, William. "Gas Outage Hits Herndon; Thousands in Area Lose Heat, Hot Water." The Washington Post: 0. Dec 05 2002. ProQuest. Web. 9 May 2014. ↑ "Metro; in Brief." The Washington Post: 0. Apr 16 2003. ProQuest. Web. 13 Sep. 2014. ↑ Glod, Maria. "Ex-Boyfriend Charged in Nurse's Aide's Death." The Washington Post: 0. Apr 26 2003. ProQuest. Web. 13 Sep. 2014. ↑ "CRIME & JUSTICE: Murder-suicide." The Washington Post: 0. Dec 17 2002. ProQuest. Web. 12 Sep. 2014. ↑ Jackman, Tom. "Friend Describes Burke Man's Slaying." The Washington Post: B.02. National Newspapers Core. Mar 21 2006. Web. 27 Dec. 2011. ↑ Glod, Maria. "Homicides Claim 16 Last Year in Slight Rise; Domestic Disputes Led to Many of the Deaths." The Washington Post: 0. Jan 09 2003. ProQuest. Web. 22 Sep. 2014.